Photo ©Desiree HernandezE D G E was there, at Standing In Boots art exhibit! What a unique and pure experience of like minds and creative energy; “awe” in viewing the art; sharing; visiting with old and new; and collaboration. Oh my, what a night to remember of the high you felt while there and after leaving the event that touched a part of your soul. 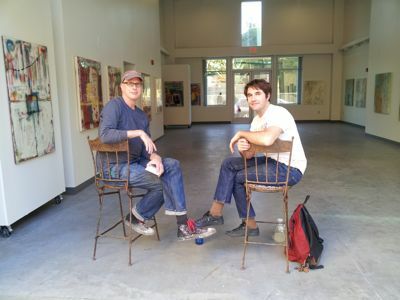 These two artists, Erik ReeL and Nash Rightmer, who have been instrumental in the recent West Side and Ventura Avenue arts revival [of Ventura California], exhibited their recent paintings. They pushed the boundaries and delivered an extraordinary body of work that was beyond your imagination. Writers, artists, collectors, and fashion designers were among the creative community that attended. 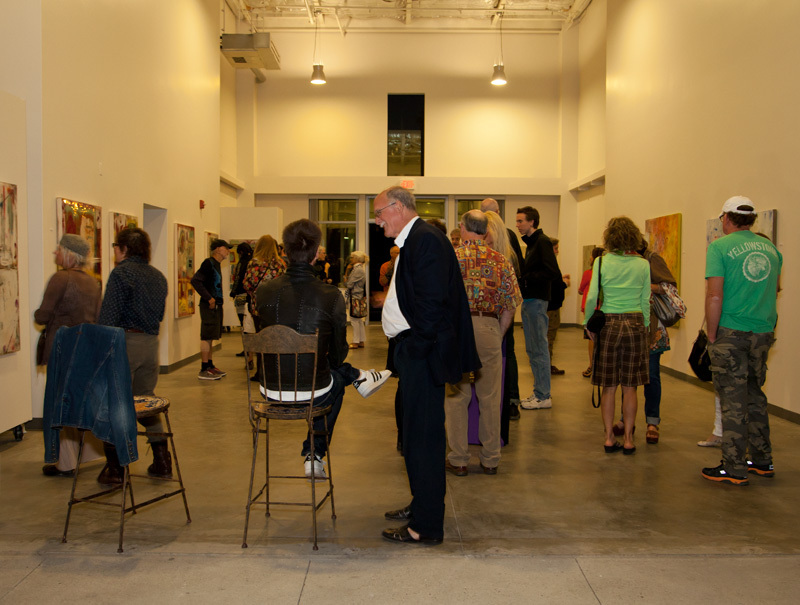 Exposure – Conversation – Connection – the theme of the night and the passion behind the E D G E concept. The spirit of connecting with old and new acquaintances while experiencing the power of the exhibition defined this magical evening. Feature Photo: Rhonda interviewing Elaine, Designer of Unzicker Designs. Posted in EDGE Cosmo and tagged art exhibition, art gallery, erik reel, fashion designers, nash rightmer, standing in boots, ventura california. Bookmark the permalink.